Make that, owning a giant Snorlax cushion is a terrible notion. The concept of them is fine. The reality is not. 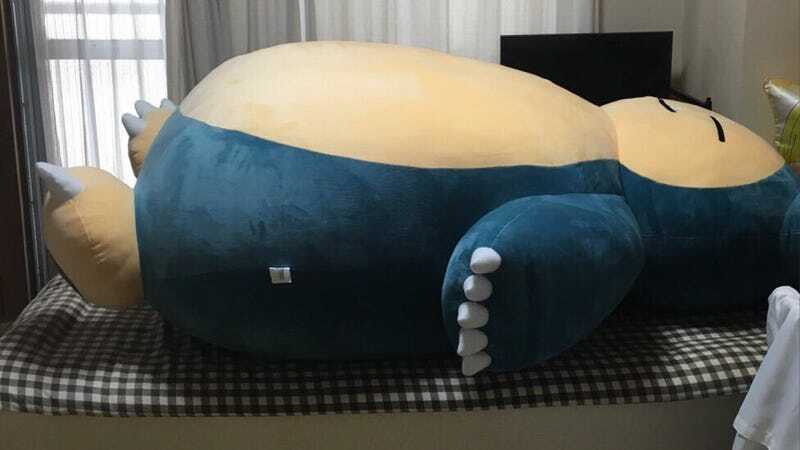 As Kotaku previously posted, Bandai Namco is releasing a huge Snorlax cushion that measures 130cm (4.2 feet) across and 150cm (4.9 feet) tall. It seems like a good idea. And hey, what’s 52,000 yen (US$516)? But, as seen in these tweets below, getting that huge thing in rather typical Japanese dwellings is a pain. People seemed surprised how big the Snorlax cushion actually was. Well, duh! Unable to get the box inside, it looks like this Twitter user unpacked the cushion outside to finally bring it in. It’s like getting a roommate who sleeps all the time.